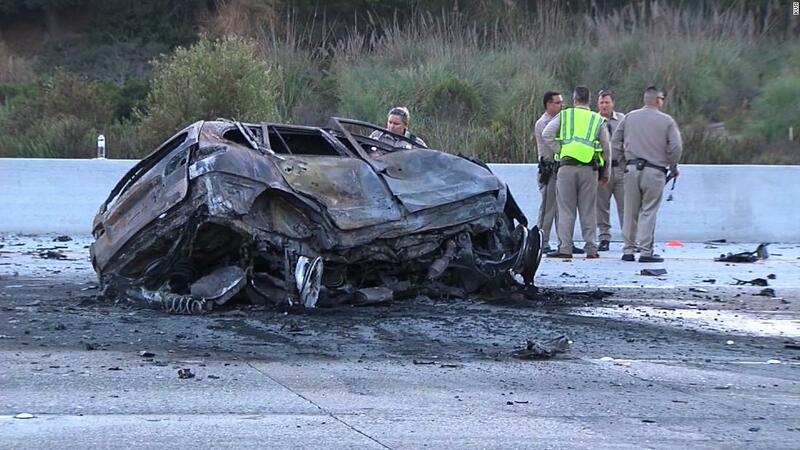 Trevor Heitmann, 18, was driving a black McLaren 650S in the wrong direction on Thursday when he collapsed head-on with an SUV in San Diego County, according to Officer Jake Sanchez, a spokesman for the California Highway Patrol. Sanchez said Heitmann was racing on the highway when the accident happened. The San Diego Coroner confirmed that Heitmann was killed after crashing his car while driving in the wrong direction, along with two others. It said the two other victims in the SUV were a 43-year-old woman and a 12-year-old girl, but it did not release their identities. Heitmann is popular on YouTube and has nearly 900,000 subscribers on its channel. He first gained popularity as a player of Counter Strike: Global Offensive, a first-person video game. He later became known for trading in "skins," which are digital files that customize the look of players. Sanchez said CHP believes Heitmann was involved in an incident at a local elementary school. In a statement, Ashley Falls School said that on Thursday afternoon, "a car drove through the side gate and a person got out of the car and threw an object at a door and broke a window." Nobody was injured in this incident.